Jamaica Gathering, 2017-Register by September 15th for a discounted price! A Gathering is an un-conference that combines retreat, learning, natural beauty, and warm friendships in a self-organizing community. Fee covers conference registration, 7 nights stay in guest room or shared villa, breakfast, 5 luncheons at the beach, 1 evening meal, gratuities, CE credits, and 2017 USATAA membership. Flights, local transportation and airport transfers not included. Fee: US$795 until Sept. 15, then $895. Deposit of $200 + $25 split payment fee secures your place. Balance due Dec. 15. #2 via paypal to usataa@datamatebookkeeping.com . Please reserve now. Frenchman’s Cove fills up early. Accommodations may be arranged for 1-2 days before or after the Gathering. 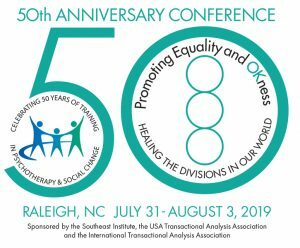 The Gathering is tax-deductible in the US as Continuing Professional Education. We meet each day for a week; present our ideas, research, and techniques; explore our next steps in professional and personal development; and relax in the charm and warmth of Frenchman’s Cove, a classic Jamaica property dotted with villas by the ocean and a comfortable air conditioned Great House. 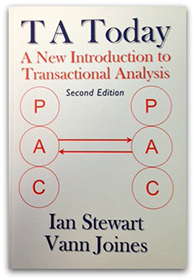 Prior knowledge of Transactional Analysis is not required. Specific topics may include TA applications in therapy, education, organizations, social change, and personal growth. Continuing Education Credits information on request. Arrival Saturday Feb. 4th. Sunday, Feb. 5th, meeting begins at 10:00 am. Departure Saturday Feb. 11th . For information contact: Lucy Freedman at jamaica@usataa.org or +1 408-353-2490.